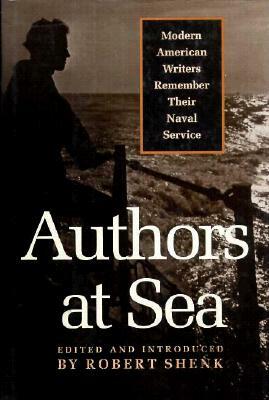 Seven Pulitzer Prize winners are among the authors featured in this collection of works by eminent American writers who shared a common experience: service in the U.S. Navy or Coast Guard during World War II. Best-selling novelists, historians, science writers, and journalists, most of these authors are well known�Herman Wouk, James Michener, Alex Haley, Russell Baker, Edward L. Beach, Carl Rowan, Lewis Thomas, Ben Bradlee, Sloan Wilson, C. Vann Woodward, Louis Auchincloss, and Samuel Eliot Morison, to name a few. But readers may not be aware of their wartime service at sea. The selected authors write about duty on all kinds of ships�from carriers to submarines and LSTs�and service in all theaters and at all periods of the war, from beginning to end. They recount a variety of experiences: flight training, submarine attacks, kamikaze hits, surface engagements, amphibious landings, storms, homesickness, nights on the town, leadership challenges, personality conflicts. Most wrote after years of reflection and decades spent polishing their writing skills. Filled with humor, hope, sadness, and occasionally wonder, these autobiographical accounts of war at sea are unparalleled in the quality of the writing and the collective scope of the vision.